Tata Motors Shares Shed Over 12.5% In Two Weeks. Should You Buy? Tata Motors shares rose 3 per cent on Friday, making some recovery from recent losses but finishing the week on a flat note. 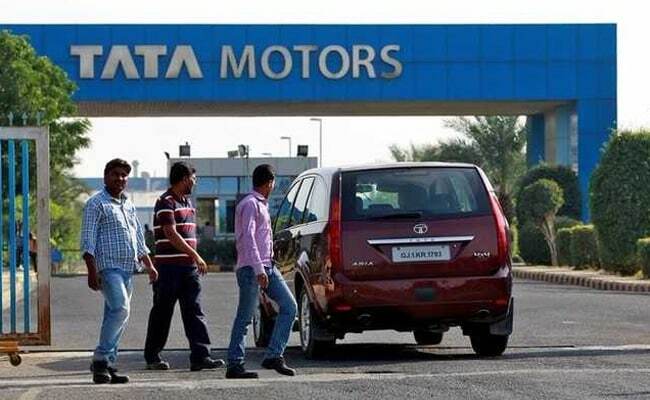 Tata Motors shares ended at Rs. 269.50 apiece on the National Stock Exchange (NSE). On the Bombay Stock Exchange (BSE), Tata Motors settled at Rs. 271.15. Concerns relating to the automaker’s business in the UK have hurt Tata Motors’ share price in the past few weeks, say analysts. Tata Motors shares had declined 2 per cent on Thursday, after Tata Motors Group CFO P B Balaji said that Brexit is in “no one’s interest”. “Jaguar Land Rover and Tata Motors have always maintained that the uncertainties from Brexit are avoidable and the business seeks clarity to ensure that industry takes timely and right decisions to manage the transition. Additionally, Jaguar Land Rover needs free and full access to the single market beyond transition to remain competitive which we also firmly believe is in the best long term interests of the United Kingdom,” Mr Balaji said during market hours on Thursday. Those comments came a day after Jaguar Land Rover CEO Ralf Speth said that a “bad” Brexit deal could jeopardise the carmaker’s investment plans, cost it over 1.2 billion pounds annually, and may even force it to close down plants and compel its exit from the UK. Britain is set to exit the 28-member European Union (EU) in March next year, ending its over 40-year relationship with the bloc. The JLR CEO even indicated the prospect of a UK exit. Currently, Jaguar Land Rover employs over 40,000 workers in the UK. “Jaguar Land Rover and Tata Motors have always maintained that the uncertainties from Brexit are avoidable and the business seeks clarity to ensure that industry takes timely and right decisions to manage the transition. Additionally, Jaguar Land Rover needs free and full access to the single market beyond transition to remain competitive which we also firmly believe is in the best long term interests of the United Kingdom,” Mr Balaji added on Thursday. Jaguar Land Rover had, in a presentation made to investors last month, revealed plans of investment worth 13.5 billion pounds (around Rs. 1.2 lakh crore) in the next three years. Analysts said those figures of investments were higher than the expectations. Tata Motors shares have declined 12.5 per cent since then. From a technical perspective, Tata Motors shares look slightly oversold with limited downside in a short-term range, said Hemen Kapadia of KR Choksey Shares & Securities. Tata Motors shares have immediate support at Rs. 262 and then at Rs. 245, while resistance is at Rs. 288. The stock appears to be in the midst of a corrective recovery and a weekly close above the Rs. 288 mark will be the first indication of medium-term greenshoots, he said. Mr Kapadia does not see a steep fall from the current level and advises investors to take a staggered approach to accumulate. K Subramanyam, co-head, equity advisory, Altamount Capital, has a ‘neutral’ call on Tata Motors shares at the current level. Tata Motors shares can be an attractive buy below Rs. 250, he said. Earlier this month, Tata Motors reported a 64 per cent year-on-year increase in domestic sales in June.